Have your say on the South Gloucestershire Children, Young People and Families Partnership draft Early Help Strategy. Early Help means getting timely and eﬀective support to children, young people and families who need it. It aims to enable children to ﬂourish and to enhance long term outcomes and life chances. Early Help refers both to help in the critical years of a child’s life (including pre-birth and pregnancy) and also to responding as soon as possible, at any age through childhood and adolescence when difficulties emerge. Successful delivery of Early Help depends on partnership working across a wide range of agencies, services and settings. The public consultation is open until 20 March 2019. Workers from all agencies, families and anyone with an interest in improving outcomes for children and young people in South Gloucestershire are encouraged to take part by completing the online survey. You can book your place at one of these events on the consultation website. The Single Assessment for early help (SAFeh), previously known as the ‘Common Assessment Framework’ (CAF), is a standardised assessment designed to get a complete picture of a child’s additional needs at an early stage. The SAFeh can be used for children and young people of any age (including unborn babies). It covers all aspects that affect a child or young person’s development, and enables practitioners to identify any unmet needs. This approach helps children and young people access the right services earlier. The Single Assessment for early help (SAFeh) toolkit has been agreed with our partners. 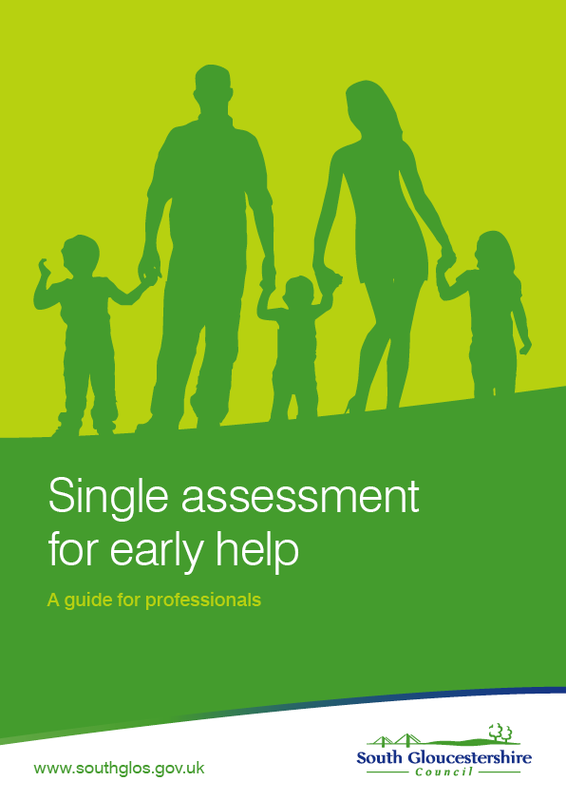 We hope it will help support practitioners and managers in South Gloucestershire to use the Single Assessment for early help (SAFeh). It is written with the intention of being accessible and in a format that can be easily changed and added to. When you speak to organisations involved in children’s services such as the council, GPs and schools you often have to provide personal information. The council is increasingly working with a range of different agencies to improve the future and welfare of children and young people. To assist in doing this it is important that we are able to share information on the child and the family. Agreeing to share information helps to prevent you from having to give out the same details several times. It also enables agencies to have the same information and be able to work more closely together, providing a better coordinated package of support, and in turn, improved outcomes for children, young people and families. Please see the documents in the ‘Downloads’ section of this page for more information.